Velvet Morning Press Releases Novel "Close to Destiny"
Does déjà vu have a deeper meaning? 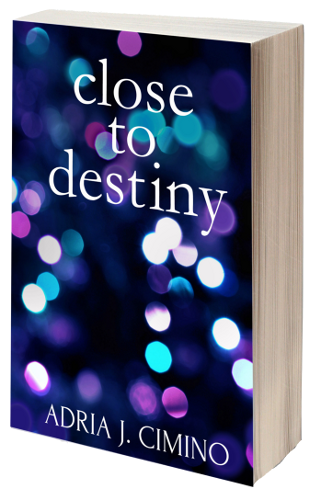 Velvet Morning Press is pleased to announce the release of the novel “Close to Destiny” by Adria J. Cimino in print and ebook formats. A puzzling gift from a stranger in a hat shop. Whisperings and footsteps in a dim luxury hotel. Dreams that transport to elegant parties where champagne flows like water. Kat is both frightened and intrigued by the events that have plagued her since she arrived in London, in a final effort to save herself from anorexia and recover from her latest suicide attempt. Most disturbing is an encounter with a mysterious woman who introduces Kat to Will. And this lovely messenger has information she desperately wants to share with Kat: an incident from more than a century ago that could transform Kat’s future. But will Kat listen? A story of the role of destiny in life... and of righting the wrongs of the past. Adria is the author of Paris, Rue des Martyrs and co-founder of Velvet Morning Press. Prior to jumping into the publishing world full time, she spent more than a decade as a journalist at news organizations including The AP and Bloomberg News. Close to Destiny is available on Amazon!